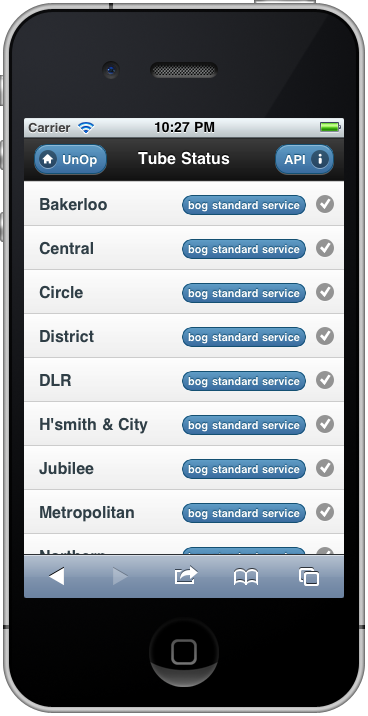 I’ve updated the mobile London tube status at unop.uk/tube by tidying the code up a bit and using the official API. The code (PHP/XSLT) is on GitHub at github.com/jpsingleton/London-Tube-Status. 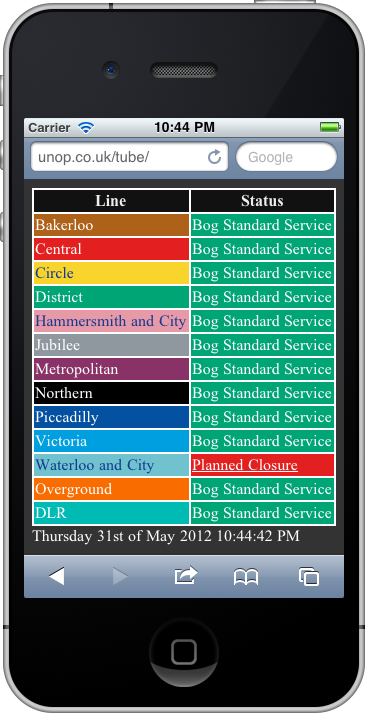 There is also a version for HTML5 smart phones which uses jQuery Mobile, but this is still a work in progress.